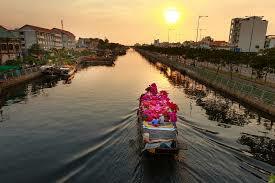 Ho Chi Minh City, located in southern Vietnam on the Saigon River, is a bustling metropolis of nearly 13 million people. It’s hot, dense, polluted, and chaotic. This means running in Ho Chi Minh City can be a challenge — you can’t just run out your door anywhere and go for a run. So, for those determined to venture beyond the hotel treadmill, we’ve researched the best places to run in Ho Chi Minh City. To make some sense of it, we’ve organized it by District (of which there are 24). 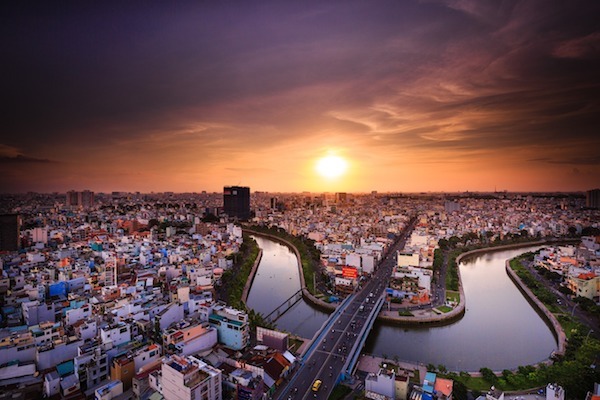 The best bets for running in Ho Chi Minh City separate into three categories: some small but pleasant parks, an improving series of river and canal paths, and select districts which feature some wider roads with decent sidewalks. 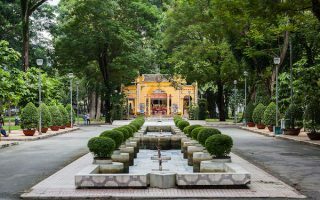 Most of the tourist spots and some of the best running is in District 1, which is adorned by wide boulevards, the grounds of Independence Palace, and the iconic Tao Dan Park. There are some good street running options in Districts 2 and 7. A couple of notes about running in HCMC: Be aware of the traffic, pollution, and the incessant heat and humidity. Go early and hydrate! Also, this is a rapidly changing city, so check back for updates. As for transportation, a new subway system is scheduled to open in 2019, making some of our routes even easier to get to! A 'runseeing' tour of some District 1 highlights, along elegant, wide boulevards and passing historic French colonial buildings. The anchor is Tao Dan Park and Independence Palace. Options to extend to third park or head down to the river. 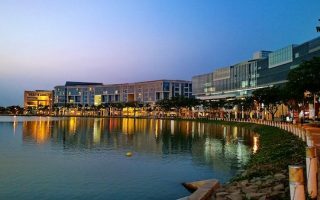 Two good waterside options: ~3-4 km on recently improved paths along the Saigon River, starting at the Meridien Hotel; and along the Nhieu Loc – Thi Nghi Canal, heading west for up to 8 km. The Thao Dien and An Khánh neighborhoods, on the south side of the Saigon River and near the historic center, are decent for running. Generally a bit quieter, with wider streets and sidewalks. The Phu My Hung area of District 7 is one of the higher-end, expat-heavy parts of HCMC and has some of the better roads for running in the city. 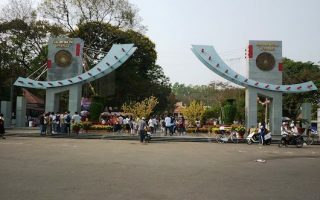 Highlights include paths around Crescent Lake, Ho Ban Nguyet Park, and runnable residential streets. An urban district, home to several schools and universities. Gia Dinh Park has some nicely laid out paths. Phu Nhuan Stadium has runnable grassy fields. In the The Tan Binh District, Quan Khu 7 Stadium has an track, and Hoàng Văn Thụ Park. 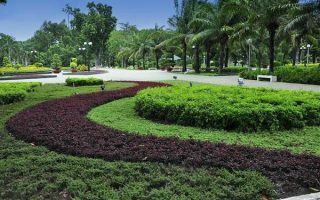 The running highlight of off-the-beaten-track District 10 is Le Thi Rieng Park, which features some pleasant paths going over wooden bridges, a small lake, and nice trees. For more, head north to the canal or south to the alleys of District 5. One of the more unique opportunities running in Ho Chi Minh City. 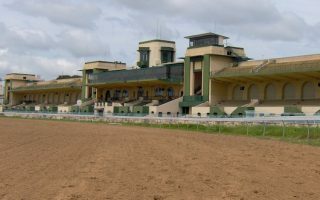 The 1-mile hard dirt track is open to the public, and it's popular for recreational activities. Can also add a small loop around the adjacent Phú Thọ exercise complex. This is a city where the weather will affect your running. It’s hot and humid year-round. Average high temperatures are in the 90F (32-34) range year-round, with nights rarely dipping below 75F (24C). As in much of southeast Asia, there are distinct wet and dry seasons: very little rain from December-March, and monsoonal rains from June-October. There’s a growing running culture in Ho Chi Minh City. The best bet for group runs is RunClub.vn, which does weekly runs in District 1 and 7. Also, the Sunday Run Club welcomes folks for their weekly runs. Viet Runners & Friends is another group to check out. This is a good running calendar for events in Ho Chi Minh City and other Vietnam races. Ho Chi Minh City hosts the country’s largest Marathon, every January (also, 5k, 10k, half-marathon options). The Color Me Run is another popular local event.